Wallace is participating in Art Gene’s Extreme Views THINK TANK, on the future of Barrow-in-Furness, April 2019. Presentation and discussion of ‘the sea cannot be depleted’ at the seventh ‘Nuclear Futures’ Seminar, Sheffield, September 2018. ‘The sea cannot be depleted’ for the workshop ‘Beyond the Anthropo—Scenes, Mediums, Apparatuses and Environments’, at the Institute for Advanced Studies in the Humanities, University of Edinburgh, 19 May, 2017. Keynote and respondent for ‘A Return to Pre-Modernity’, film programme curated by Victor Wang at the Institute of Contemporary Arts, London, August 2014. The films were: Amphibious (Login-Logout) by Jennifer Allora & Guillermo Calzadilla; Tônus | 2012 by Rodrigo Braga; and ‘Beau Geste’ by Yto Barrada. The talks below explore emotions, walking, giving an account of oneself, Aristotelian phronēsis, conversation, learning and experimentation, relational ethics, kinaesthetic empathy, extinction and banality. Subjects include climate change, sound art, scientific fact and value, global commodity exchange, metaphor and materiality. For the text of any talk, please email. The résumé.pdf lists all talks. 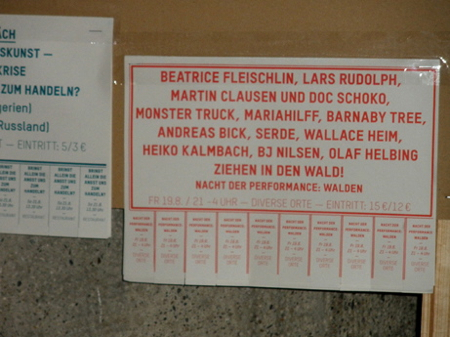 This paper came out of collaborations with the outdoor movement artist Paula Kramer and the workshop we provided at Tanzkongress, Düsseldorf 2013. Paula works with questions of how the human body can perceive and respond to an agency of matter, or the capacities of collections of entities. How does the shift in human consciousness allow for, what she calls, the rising of other presences that the dance can accept and move with, as if they were autonomous – but always unknowable … As a witness one experiences a kinaesthetic empathy. For the witness, though, the ‘other’ is not the tree or stone, but the human in relation with the stone. They don’t form one smooth entity. Then, when Paula moves away, the rock, the tree, the river bed has become different, if only for a moment. It has become something that compels the witness to go and touch it, too, to acknowledge it. It has not been made ‘special’ by human attention. It’s as if the human – in attempting to be receptive, or to be like matter herself – has somehow entered the time, the duration of the material, not only touched its surface, volume or depth. 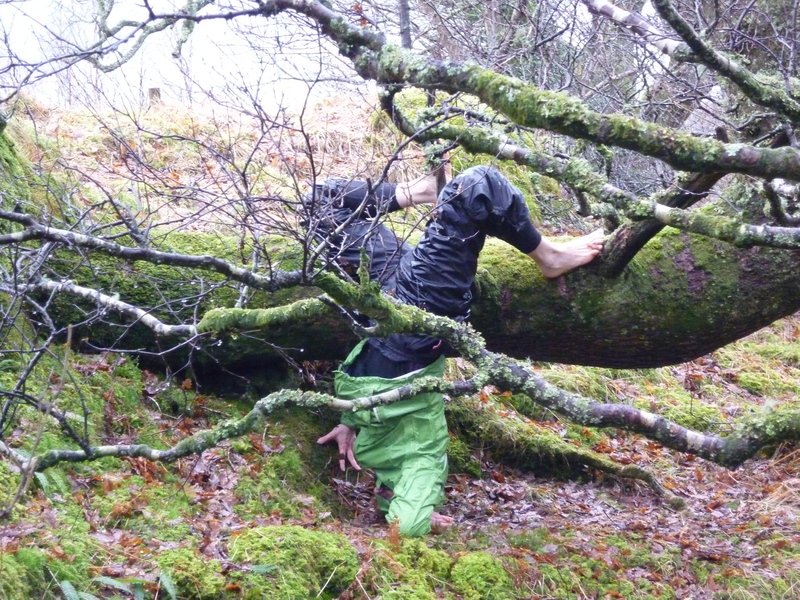 There is a moment of mutual letting go, when there is a lingering between the human body and the tree, and even the witness can feel the changes that have been effected – as ephemeral and dissipating as they might be’. Can a place learn? Can the capability for learning be found not solely within the organism, or the organism responding with its immediate surroundings? Can learning be a capacity found within the wider field of relations between many life forms, a field that includes the non-living? The question whether a place can learn might act to bring into existence a problem or contradiction. Or be an ingredient of a place that performance can show. Or lead to the invention of a field in which a problem finds its solution. These variations are discussed by way of the tick, the epiphyte and the camel. The talk is in two parts. In the first part, the question is treated as if it could be researched, as if experimentations could be made towards its solution. In the second part, the question is treated like a speculative concept, one that is added to a problem and changes the way the problem is understood, but the question itself is not answered. There is a phrase in the policy and science literatures to describe when these species disappear, which is ‘anonymous extinction’ – a phrase that comes close to describing the banality of extinction – but does nothing to describe its violence. And the phrase does nothing for describing how to live together with the ‘anonymous’. Of course, we do live with the anonymous, and we always have done, they preceded humans. Many probably do not need or want close human contact. It may be that the most enduring relation is one of distance and indifference. These problems, too, are taunts for performance, at least in theory: how to show and perform the non-relational in an art-form that works between humans and holds hard to the present tense. How might performance contribute its own responses to these problems’. ‘Each of these three concepts has something to do with motion. They are ancient and enduring, and they are about motion, change, solidarity, knowledge, the ethical – and performance.